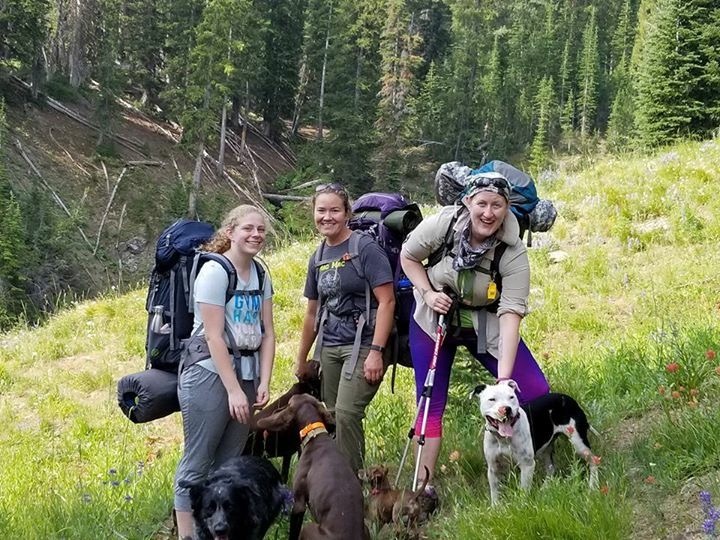 Summer has finally come to Idaho and as the snow begins to melt in the mountains that itch to load up the pack and dogs and hit the trails is growing increasingly strong! Now comes the time to decide where to go. With so many options it can sometimes be hard to narrow that down. So what is the best way to figure that out? Now, I’m sure there are literally tons of ways to answer this question. Posting on social media hiking groups is a great place to start. Even there you can sometimes get enough suggestions to be a bit overwhelmed. For me, I have some hiking books for the state and have established a personal goal to hike them ALL! Every hike I do I check off in the book and make a few notes for next time. But this doesn’t help narrow down which trail is the best fit for a hot summer day with a group of friends. So I’ve gotten in the habit of asking myself three questions. 1) What season is it, and what does the weather forecast show? In Idaho we can hit 100 plus degrees in the valleys during the summer and, sense it’s the desert, there isn’t much for shade. But up in the mountains it may only hit 85 degrees for a high and have lots of cover. 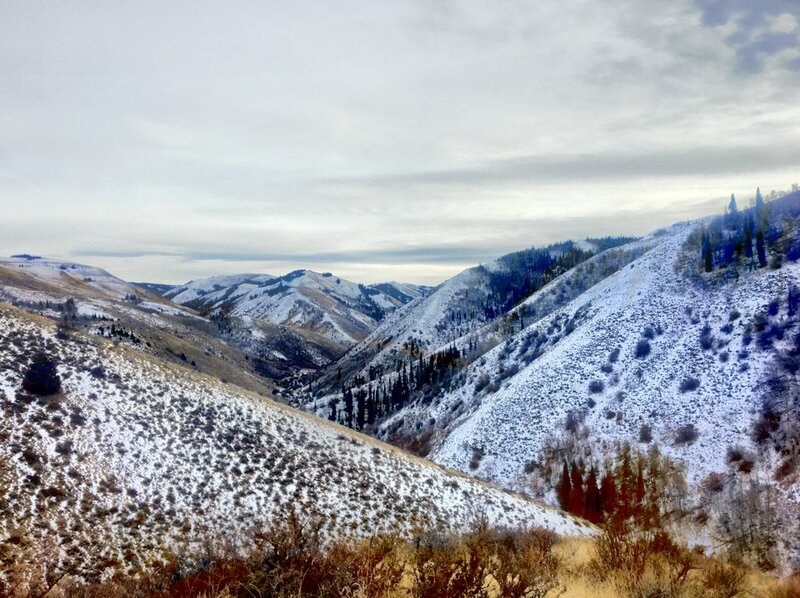 I try to prioritize low elevation, high exposure hikes for the winter, early spring, and late fall. That way all people and dogs are more comfortable and the risk of heat related issues is greatly decreased. As the mountains warm up in the late summer months I try to find hikes with good tree cover so there is shade. 2) What is the water availability? Okay, this is a big one for me! If I’m just out for a hike, or if the weather is cool, I don’t worry about this one as much. However, if I’m out backpacking, especially for more than one night, I put a lot of emphasis on streams and lakes along the way. Keep in mind the time of year here too. In Idaho, a lot of our streams are fed by melting snow, so early in the summer there’s lots of water. This can actually make some trails impassable due to dangerous, fast moving water. However, later in the summer there may be no water at all and if I was planning to use that to filter I could quickly get in a pinch. 3) What is my ability and the ability of the group I’m going with? If I’m out solo hiking or backpacking I may pick trails that are longer or have more elevation gain. But it’s no fun for your friends, or you for that matter, if the trail is more strenuous than they can physically do. On top of that, it can make the trip more dangerous as you and your group are in the sun more and people get tired and are more prone to falling. I look at things like elevation gain and distance when I pick trails. What has worked well for me in the past has been to throw out a few options to the group and let everyone pick what sounds best. This way it makes it enjoyable for everyone! Michelle is the Ambassador for our Idaho chapter. 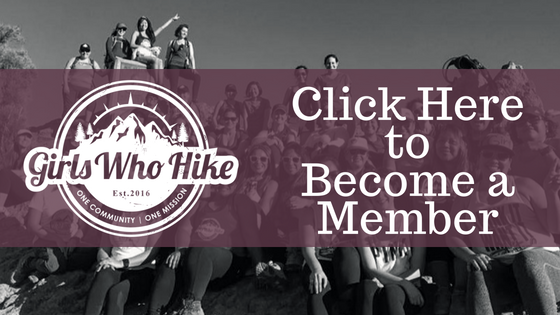 To join her local meet ups and discussions through Girls Who Hike Idaho, click here.